Find out What's On In Exeter, Restaurants, Shopping, Sightseeing, Sports, Events, Nightclubs, Places to stay, Hotels in Exeter, with our comprehensive website. 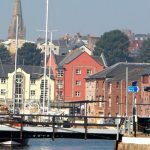 Whether you live in Exeter, are visiting or looking to move here, you will be able to find places to stay, the best places to eat and drink, properties to buy or rent, local news & events, activities for the whole family, unique places to shop, beautiful scenic locations, historic landmarks, city centre entertainment, attractions and more! Exeter is a beautiful city of stunning architecture, history and culture. Head into Cathedral Green and discover a wonderful ring of charming historic buildings, which today house a diverse variety of art galleries, book shops, antique stores and pubs which appear to have been frozen in time. The area has in the large part remained practically unchanged in over a century. 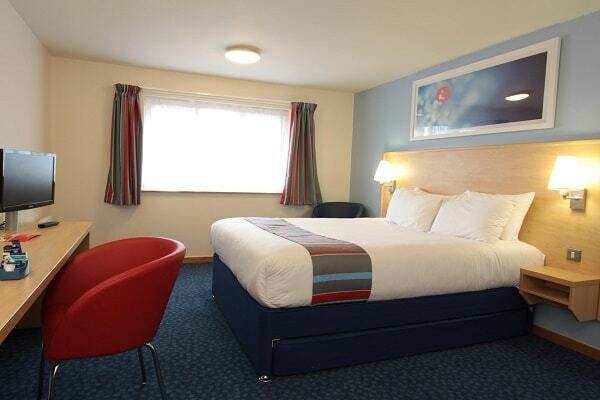 If you are looking for a luxury break, Exeter has a great selection of top quality hotels, or if you prefer to stay somewhere smaller and more intimate, there are plenty of conveniently located B&Bs and Guest houses to choose from. Exeter is location on the River Exe, surrounded by countryside and close to the coast, lends itself perfectly to outdoor activities, such as walking, cycling and watersports. There is also plenty to do out of season, with the south west's largest indoor climbing wall just one of many indoor activities in the city. 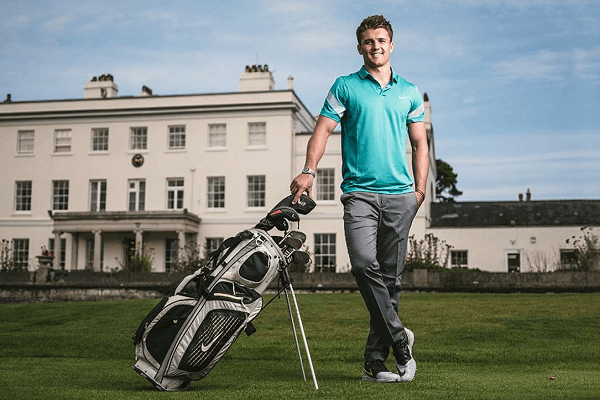 Whether you’re looking for things to do in Exeter such as events and attractions or are planning where to stay in Exeter, you’ll find everything you need for your Exeter holiday on Whats On In Exeter.com. Make sure to discover Exeter’s diverse neighbourhoods, from tranquil suburbs to central areas full of shopping, entertainment and dining options. 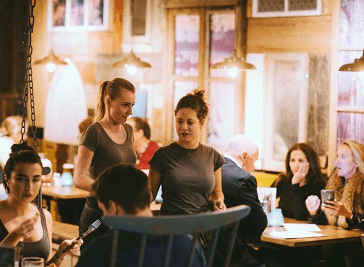 Exeter is enjoying a food and drink revolution with more and more great eating establishments and international menus. It has been voted one of the top places to eat out in the UK, by Which Good Food Guide. 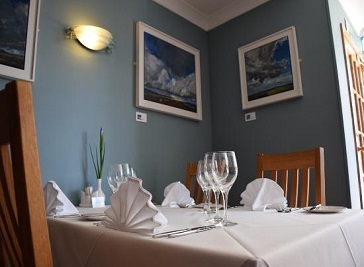 There are cafes and tea shops in charming historic buildings, restaurants and bistros with great views and independent restaurants serving top quality Devon produce. Head to Princesshay or Queen St Dining for plenty of choice of eateries serving international cuisines. 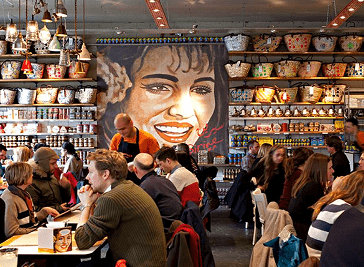 Comptoir Libanais serves up healthy and honest Lebanese and Middle Eastern cuisine in a friendly and colourful canteen. From fresh salads and hearty tagines..
Queen St Dining is the perfect location for Exeter’s food-loving residents and city visitors to sample the finest fare from local food heroes and unique cuisines. Our restaurant is little off the beaten track in the west quarter of the city but offers quality dining in Exeter. The Fish and Seafood we use come from day boat landed. 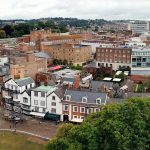 Full of character and ancient history, Exeter is still able to offer all the amenities and comforts that would be expected of a modern day city. Exeter is the capital city of Devon and provides the county with a central base for education, medicine, religion, commerce and culture. 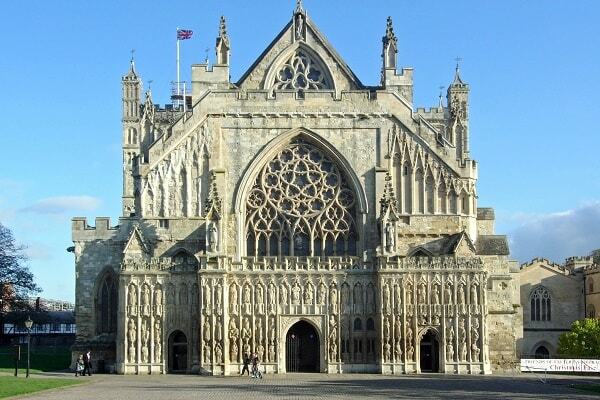 The city is also home to the magnificent Exeter Cathedral, which dates back to Norman times. There is a great mix of modern shops, bars and restaurants mixed with independent, quirky boutiques and cafes creating a vibrant and bustling atmosphere in Exeter city centre. Attractions such as Exeter Cathedral, the Royal Albert Memorial Museum and the Exeter Phoenix supply visitors with plenty to see and do. Exeter has an extensive range of things to do with a selection of places to eat and drink, adventures and activities, plan your stay and visit to Exeter.